Per the first law of thermodynamics, energy is transformable, but it is not something we can create or destroy. In other words, the only way to save energy is to not use energy. While solar power is a source of energy that is renewable, it is not a method of energy conservation. Instead, it is a method of reducing our dependence on fossil fuels. The largest solar thermal power plant in the world, Invanpah, is located in California’s Mojave Desert. The solar power plant can produce enough energy to power 140,000 homes in California each year. While this plant does not use the same technology as solar panels, Invanpah uses solar energy to run a steam-powered turbine. Now think of a coal-fired power plant. Fossil fuels heat water that makes a turbine spin. This process is continuous, which means that burning of coal is continuous. With solar power, there is virtually no pollution. Instead of saving energy, solar power might be able to save you a nice chunk of change. 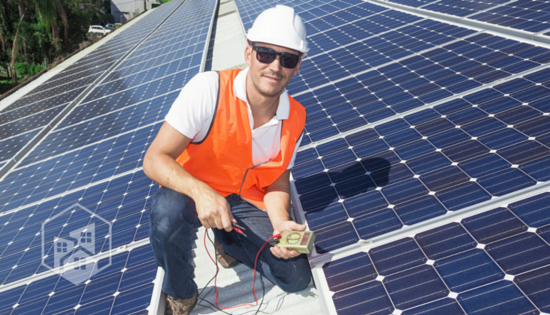 If you install solar panels at your home and remain connected to the electrical grid, you can be your own power plant and contribute to the grid. When the sun shines all day and there are no clouds in sight, the solar panels could harness more energy than you will use. Any excess energy is exported from your home to the electric grid, reducing the need for electricity produced by your utility and cutting down on pollution from your local power plant. If you produce energy for the grid, you may receive a credit from your utility. Instead of spending money, you’ll be making it. The cost of installing solar power can be reduced through tax credits from local, state and federal governments. Each state has different tax credits, rebates and other ways to save, so be sure to check and see what savings you may encounter through installation of solar panels.